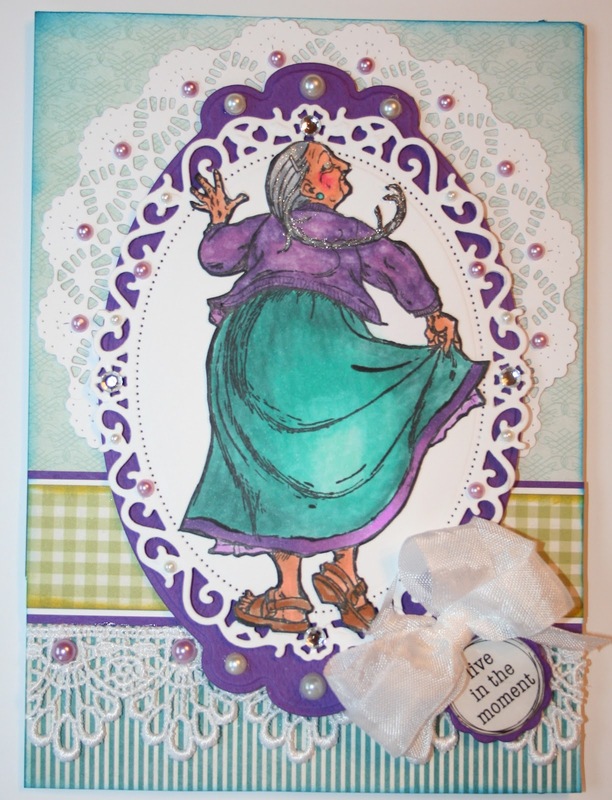 This second card is one that I made for Barb. Barb lives very close to where Scrapfest is held and so was kind enough to coordinate the weekend for all of us. It was so nice, at the end of each day, to have dinner plans set at a place that could accommodate such a large group! 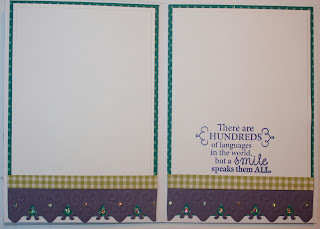 I just love these colors together....and the sentiment is a sticker that I stuck onto some coordinating paper. I had only known Barb from her online presence and one characteristic that struck me from her avatar was her wonderful smile....hence the sentiment. I do hope to post some pictures from this weekend.....I just need to get some laundry done, a nice meal made, some major housecleaning accomplished...etc.....then some wonderful sit down time to craft with my new goodies ;-D Thank you for stopping by and I hope your weekend was as nice as mine! So glad that you were able to do this. What a year you have had! I love hearing that everyone is just like we already "know"! Love both cards, but Barb's has my heart. I know this is her fav color combo and the composition is spot on, girl!So feminine and sweet, just like her. Glad you had a fun and safe trip! Hi, Sheila! I think it is wonderful that you were able to go to Scrapfest and meet up with all the Hero Arts gals! I have been to several of these kinds of things by myself, without knowing anyone, even from the internet!! But, it doesn't take long to make friends when there is paper crafting involved. 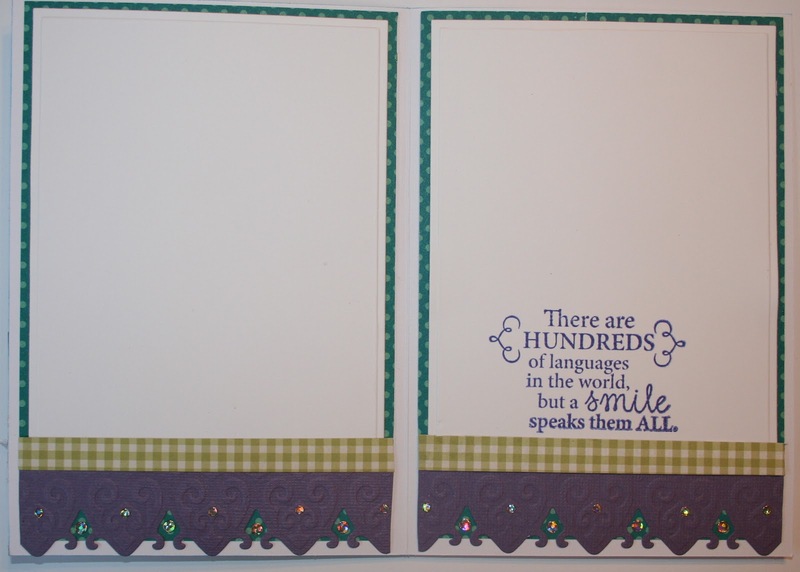 I love both of these cards you made and I know that Judy and Barb will treasure them! Can't wait to see what you make with your new goodies! A wonderful creative adventure Sheila!! Hi Sheila! Boy, I sure am missing everyone already! It was really strange driving to work instead of the mall today. I'm so glad to know you really enjoyed the weekend - it was quite amazing having all of us there together, wasn't it? Was a great weekend and experience! 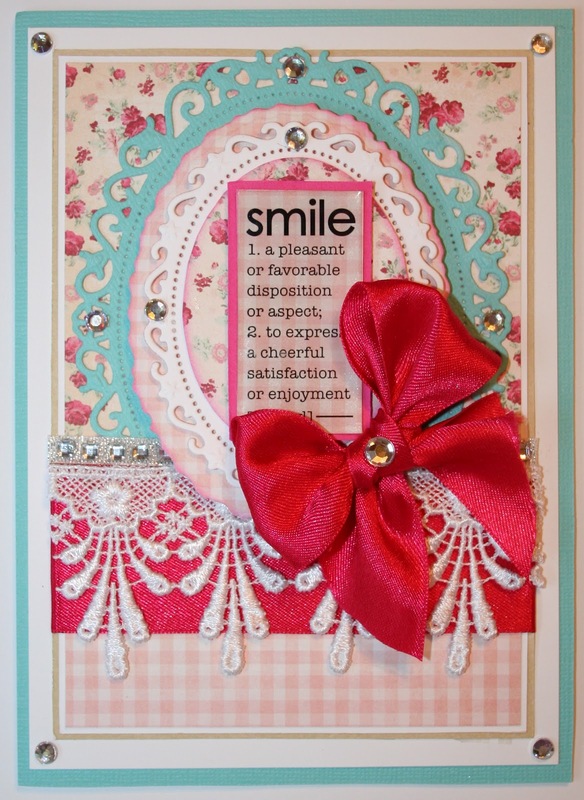 Love your cards and your daughter was a delight. I can see why you so proud of her! Oh how wonderful! I so hope that I can get to Scrapfest & meet some of my on-line friends. I know what you mean--hubby & I constantly say how crazy people are to date on-line, but this is totally different, I say--right?! Look forward to seeing your pictures & maybe someday we will meet in person. Your cards are so neat--I know they were thrilled to get them. what a lovely post Sheila. How lucky for all of you together like this. 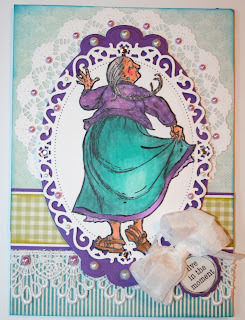 Love the cards you made for Barb and the swap. You told our story so well, Sheila! It was a true joy to meet you finally and to see your beautiful craftsmanship in person.....here's hoping that we can all do this again soon! Loved meeting your sweet daughter, too, and look forward to seeing your pictures from the weekend. Big hugs! I had such a great time meeting you and all the other ladies. Your daughter is a special young woman...and beautiful too! I loved seeing your cards in real life. They are so detailed and gorgeous!